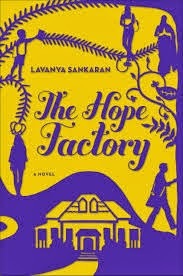 Lavanya Sankaran is the author of the novel The Hope Factory and the short story collection The Red Carpet. She lives in Bangalore, India. Q: How did you come up with your two main characters, Anand and Kamala? A: Indian cities are full of exciting opportunity for those who have dreams – but the path to realising those dreams is not easy; there are obstacles and complications and risks. Kamala’s life is inspired by countless women like her, who battle extreme odds and adversity and keep their dream of educating their children to a better future. The crux of Anand’s story – a good, capable man, fighting to keep his head above water – clarified for me late one night after, of all things, a television program. I was watching a National Geographic special on American pioneers and what it took for them to survive and succeed in such a hostile environment – and that’s when it clicked. I realized I was seeing something similar all about me: for years, I had been watching people struggling to build world-class businesses in an environment that didn’t support them in any of the crucial ways. When a government is corrupt and inefficient and does not deliver on its basic promises, it leaves its citizens in a fearsome, dangerous and lonely world – and those who succeed, like those rugged pioneers, are the exceptional individuals, hardy, uncompromising, uncomplaining. 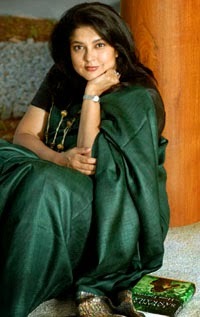 Q: What role would you say the city of Bangalore plays in The Hope Factory? 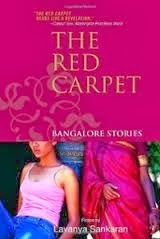 A: Bangalore has been the perfect muse for this particular story. It is the classic small-city-grown-big – in huge part driven by the dreams of all the immigrants who have flocked to it. It is the perfect microcosm of life in urban India and works almost as a character in the story. Q: You blend humor with some serious issues. How do you balance the two? A: Humour is vital to how I process my understanding of the world. In my personal life, I have to say, my sense of humour is akin to that of a drunken undergraduate – but employing wit and humour in storytelling, especially in a story that carries more serious dramatic themes, is a delicate operation and one that needs to be carefully managed. Q: You've also written a short story collection. Do you prefer one type of writing to the other? A: They were both interesting and fulfilling and challenging – and amazingly different from each other in terms of process and method. Going forward, I find myself writing a couple of short stories, and working on the fabric of a new novel. A: I love writing; I love the process. Sure, it’s not easy – but when it goes well, nothing feels better. And when I’m done writing and rewriting something, when the editing has been (finally) laid to bed – I’m amazed at how quickly the story drifts away from my mind and I’m turning my attention to something new.